The survey looked easy on paper. 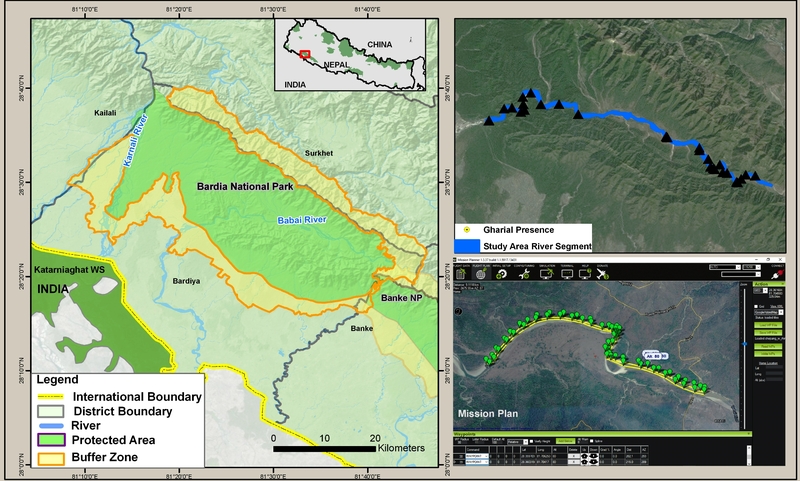 All they had to do was to go the Babai Valley in western Nepal and fly a drone (or unmanned aerial vehicle, UAV) along a river. But wildlife researchers Gokarna Jung Thapa, Eric Wikramanayake and Suraj Karkie soon realized that their work was fraught with elephantine challenges. “Our vehicle was chased by a herd of wild elephants,” he told Mongabay. “We had to speed uphill and request a truck-load of soldiers to rescue us that day.” Despite the rescue call, the resources Thapa and his team members used on their mission to count gharials were minimal compared to similar missions in the past. 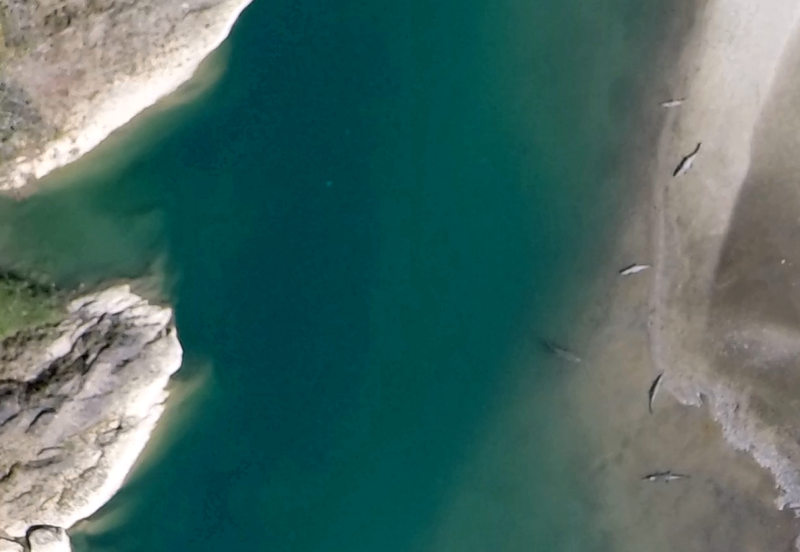 The third reason they liked the idea of a drone survey was because gharials form long lines along the banks of the river. This forced enumerators in earlier counts to cover long distances, but if they went too close, the animals would retreat into the water. The researchers knew they could not just walk in with their drone any time of the year. Researcher Kanchan Thapa, a co-author of the paper, says that for a species like the fresh water gharials, winter (January and February) is the best time to conduct aerial surveys. 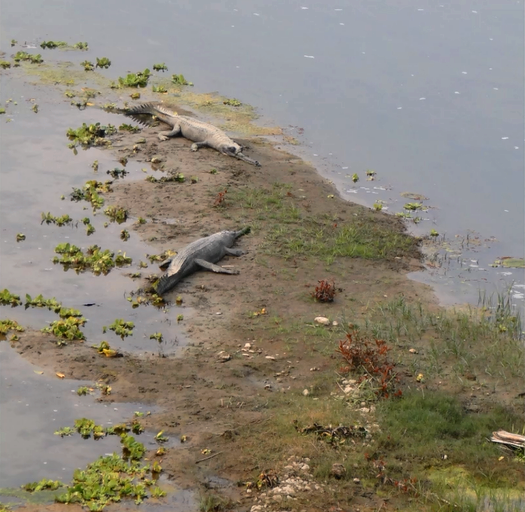 “This is the time when the water in the river is less turbid and gharials swimming above or below around 1 meter from the surface of the water can also be counted,” said Kanchan Thapa. “We chose mornings (0800–1100) and evenings (1500–1700) to capture the photographs, as these are the basking times for crocodiles,” he explained. 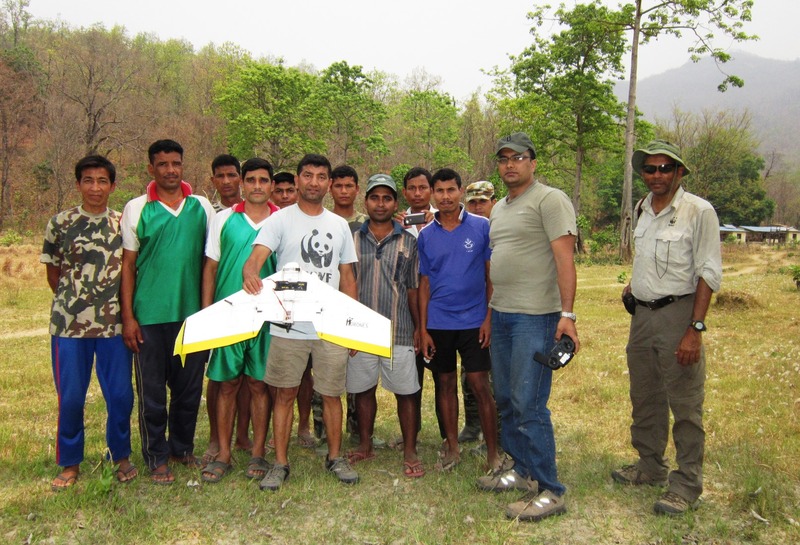 The researchers flew the drone at a speed of 10–12 meters (33–39 feet) per second, along 12 pre-designed missions for 2.72 hours of flight time covering a total of 102 kilometers (63 miles) of river bank habitat along the Babai, which flows through the Bardia National Park. 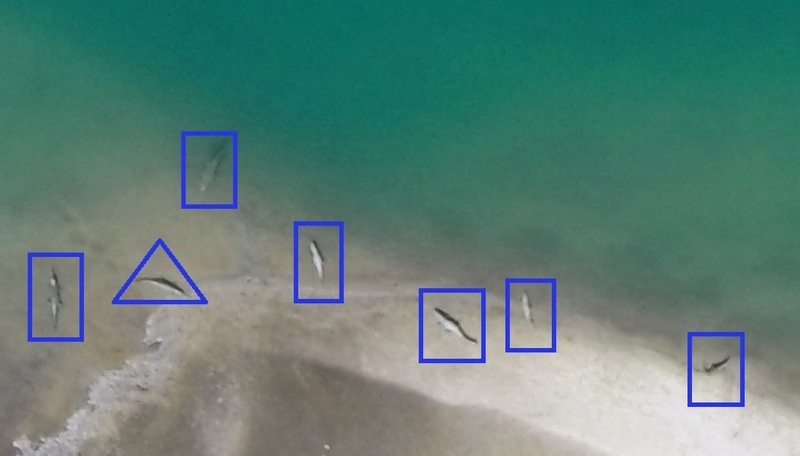 The camera on board the drone, took 11,799 photographs covering an effective surface area of 8.2 square kilometers (3.2 square miles) of the river bank. Banner image: Gharial by Julie Larsen Maher ©WCS.